Organic Kombucha tea, also referred to as Mancurian tea or Kargasok tea, is made with a live starter culture that is added to a mixture of black tea and sugar. It is then allowed to ferment for a week or more before it is ready to drink. The tea is a sweet-tasting beverage known for a variety of health benefits that include helping to boost the body’s immune system, promoting healthy digestion, building stamina, and fighting a number of infections. Though, the Food and Drug Administration has not approved Kombucha for medicinal purposes, it has been recognized around the world for its health benefits for centuries. The following brewing advice for organic Kombucha tea is an excerpt from kombuchatea.co.uk's article on "Kombucha Tea: All You Need to Know." A piece of muslin, kitchen towel or some other piece of clean porous material. A size that will cover the top of the brewing container with some overlap. A large elastic band to hold the material on the container. Tea (6 teaspoons loose or 6 tea bags), organic black, green or a mixture of both. 320g refined white sugar (ordinary household sugar). 400ml of ready brewed organic Kombucha tea or 60ml (4 tablespoons) distilled vinegar (white, apple, cider or white wine vinegar). If you are using vinegar, it must be distilled -- not live, brewed or fermented. NOTE: The first thing you should do is to clean everything that you are going to use to make your organic Kombucha tea. Cleanliness (hands, equipment, etc. )is imperative to making healthy organic Kombucha tea. To make the nutrient, take approx. 1 litre of water. The water should either be filtered or should already have been boiled for at least 5 minutes. Bring the water to the boil in a kettle, stainless steel or heat-resistant glass household cooking pot. After boiling, add the sugar and organic tea, stir it till the sugar dissolves, then leave off the boil to infuse for about 15 minutes. Put the other 3 litres, and the extra glass of cool water into your brewing container. When the 15 minutes are up, strain out the loose tea (if used) or remove the tea bags; then add the sweet tea to the rest of the water in the brewing container. The 4 litres of nutrient needs to be between 20°C - 30°C, this is where the thermometer comes in useful. You might be able to judge this yourself, it's about room temperature. Just make sure that it's not too hot, otherwise you could kill your new organic Kombucha tea culture very quickly. Once at the right temperature, add the culture to the liquid. It may float or sink, it doesn't matter. Then add the 400ml of finished Kombucha or 60ml of distilled vinegar if you don't have any organic Kombucha tea. Cover the top of the container with muslin or kitchen towel and use the elastic band to hold it in place. Move the container to a suitable location -- somewhere that it can be left undisturbed for about a week. It should be kept at a constant temperature 20°C - 30°C, away from tobacco smoke, strong smells and not in the kitchen if there is a lot of grease in the air from frying food. After 5 days, it is time to taste your organic Kombucha tea. By now, you should have a new “baby” culture forming on top of your brew and the tea might be nearly be ready. If you take a good deep sniff in your brewing container, it will probably smell like pure vinegar. Press down lightly on the newly formed culture with the back of a spoon so that you can get a sample of the tea. Or slide a plastic straw carefully down the side of the new culture and sample a little (be careful about back flow). Taste it… what you are looking for is a slightly sharp (acidic), not sweet taste. If it is not quite there yet then put the cover back on and leave it for another day before tasting again. The length of brewing time can vary quite a lot but, it is normally between 5 days to 2 weeks though, it can take longer under certain circumstances. Once you have the right taste, it is time to bottle your lovely, healthy Kombucha tea. Get yourself some suitable clean bottles. With clean hands, take the two cultures out (the new 'baby' and the original 'mother') and place them on a clean plate. Pour some of your organic Kombucha tea into a kitchen jug and then, using the jug, pour it into the waiting bottles - right to the brim, no air gaps. Put the top on and stick a label on the bottle with the date. Continue with the rest of the tea. 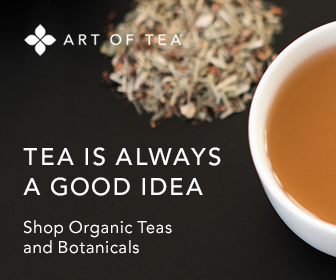 Remember to save some tea for your next batch - about 10%. You want to keep these bottles at room temperature for at least 5 days. The reason for this is twofold: (1) It allows a build up of CO2 (gas) that makes the drink fizzy, and (2) It allows the tea to mature and develop a more mellow taste. After 5 days you can move your bottles to the fridge or somewhere else cool / cold, then drink your cold, fizzy Kombucha. The best way to look after your culture and maintain a constant supply of Kombucha Tea is to make your new batch immediately you have bottled the previous one. According to the Food and Drug Administration, Kombucha tea contains considerable quantities of acids commonly found in some foods such as vinegar, and smaller quantities of ethyl alcohol. Since the acid could leach harmful quantities of lead and other toxic elements from certain types of containers, such as ceramic and painted containers and lead crystal, these containers should not be used for storing Kombucha tea. In addition, the unconventional nature of the process used to make the tea has led to questions as to whether the product could become contaminated with potentially harmful microorganisms, such as the mold Aspergillus. Such contamination could produce serious adverse effects in immune-compromised individuals. Yet, the agency’s studies have found no evidence of contamination in Kombucha products fermented under sterile conditions. However, there remains concern that home-brewed versions of this tea manufactured under non-sterile conditions may be prone to microbiological contamination. Always consult your healthcare provider before taking any herbal -related products and teas.